This section provides up to date news and information about Grimsbury Farm. Looking for something to do with the children during half-term? 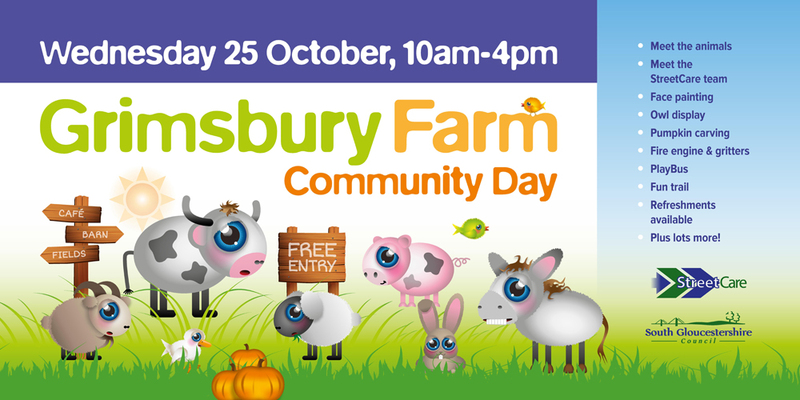 Join our StreetCare team at Grimsbury Farm in Kingswood on 25 October for a day of free autumn fun, including pumpkin carving, marshmallow toasting, face painting, art and crafts. Meet our resident cows, donkeys, sheep, ducks and pigs. There will also be a variety of displays, activities and information stands. A male kid was born at Grimsbury Farm on 15 January, mum Dolly and the new arrival are both doing well. 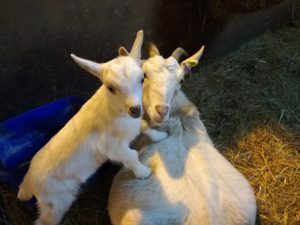 Grimsbury Farm’s new goat has been officially named. We are pleased to reveal Caesar was chosen as the winning name after we asked you for suggestions. The farm has also welcomed 10 new piglets. 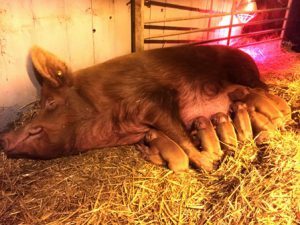 The morning of 31 January saw the arrival of a new sow and within a matter of hours from being bedded down, she gave birth. Both mum and piglets are doing well and farm staff are delighted to see the new arrivals. Visit the farm for yourself and meet the new animals. The Friends group which helps manage and run Grimsbury Farm has been nominated for The Queen’s Award for Voluntary Service. The award celebrates the dedication and hard work of all volunteers, past and present. Winners will be announced on 2 June. Check their website for forthcoming events.